Can You Have a Vaginal Birth After Cesarean? Home LABOR & DELIVERY Can You Have a Vaginal Birth After Cesarean? 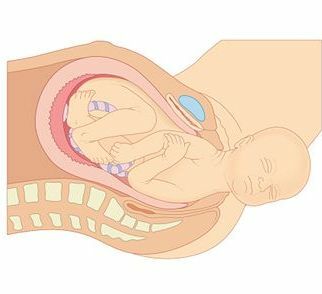 In case you had a C section when delivering a baby and you got pregnant again you have the option to have another C section or to choose a vaginal birth after cesarean. Before women didn’t have this option but today, due to modern technology, it is an option in many cases. Statistically speaking, about 60%-80% of the women who try having a vaginal birth succeed in delivering this way. Nonetheless this isn’t suitable for everybody. Sometimes complications prevent such childbirth. Some of the hospitals don’t offer this possibility to their patients because they don’t have the specialists. There are a lot of different reasons for which women consider having childbirth of this kind. Women are less likely to lose a lot of blood or to have an infection if they choose vaginal birth after cesarean than if they choose another C section. Nonetheless if this fails, it is a must to have another C section. In this case the chances of complications are higher than in case of a planned procedure. This is one of the advantages of vaginal birth after C section. In case you have a vaginal birth you will have to spend less time in hospital than if you opted for C section. If you don’t have a surgery, you will get back your stamina and energy faster. Another factor to consider is that if you spend less time in the hospital, you will have fewer expenses with childbirth. Sometimes women would like to participate at childbirth. For this they may choose vaginal birth after cesarean. In this case they have the possibility to hold the baby in your arms sooner than in case of the C section, not to mention that you get to feel different things if you are conscious during the process. If you would like to have a big family, vaginal birth after C section may be the best choice for you. If you have more C sections, they get more complicated each time, while the vaginal births will become easier each time you give birth to another baby. You chances of having a successful delivery increase in case you had minimal transverse uterine scar and no other uterine scars that could accompany a C section. The same thing is true in case you have a normal pregnancy and both you and your baby are healthy. You will have a normal vaginal birth after C section in case the factors that led to the procedure the previous time aren’t present this time. The chances also grow if you enter labor and if it starts naturally around your due date. 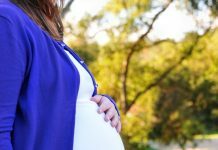 Previous successful vaginal delivery could also increase the chances. 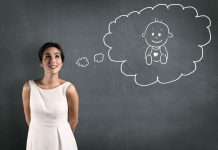 There are also some factors that could prevent you from having a successful delivery through vaginal birth after cesarean such as the pregnancy continuing after due date, having a big baby, having a history of more C sections and no vaginal births or being obese. In the same time vaginal birth after C section may not be such a good idea if you had a uterine rupture in the past or any other conditions that could have an effect on vaginal birth. Also the procedure isn’t recommended if you had a classical incision in the past because it could rupture. As you can see, there is a lot to think about regarding vaginal birth after cesarean, but it is worth a thought. Next articleWhat Are the Implantation Symptoms?